...Are you looking to buy your DREAM HOME but have less than perfect credit & little down payment? We'll look no further! Beautiful homes you can "rent to own" today with NO credit, NO banks and NO Hassle! 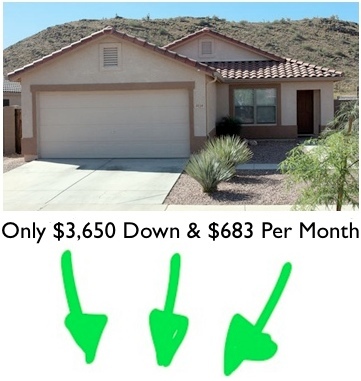 Minimal down payment required as little as 3%! If we don't have a house you absolutely LOVE than no problem. We'll find you exactly what you're looking for. We're NOT Realtors so you'll pay NO fees and NO commissions. These are homes we either own or control. We will take care of all the paperwork and assist you on your path of successful home ownership. This is the real deal and you need to take advantage of it right now. Enter your email to get instant access to the list of "Available Inventory" - The only way to get special access to our exclusive inventory is to enter your email below. **Please double-check that your email address is correct or you won't be able to get the time sensitive property alerts. We take your privacy very seriously - your information is NEVER shared.